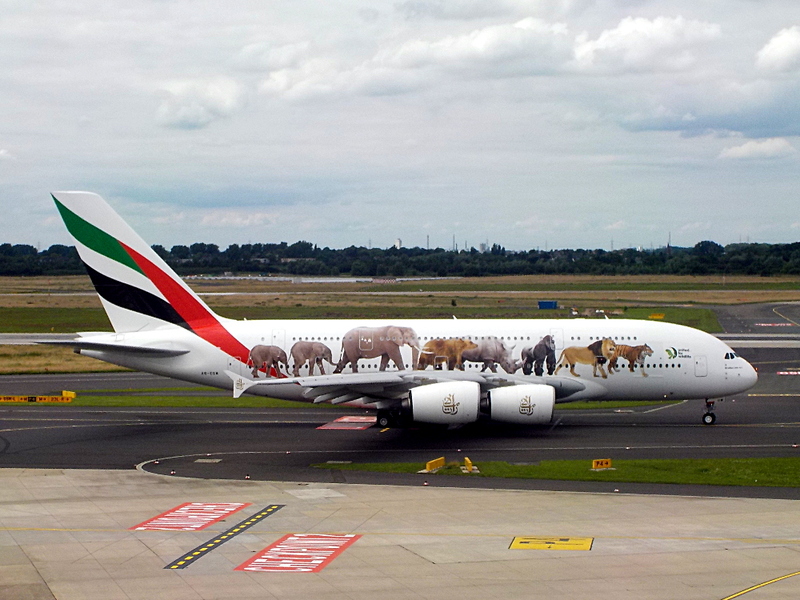 This A380-861 Superjumbo is decorated with elephants and other wild animals, taking a stand against illegal wildlife trade. It was delivered to Emirates in August 2015, and is registered A6-EOM. It has four GP7270 engines and is seen taxiing from Dusseldorf’s gate C02 for departure from runway 23L to Dubai.